The defending champions scored first but could not hold on to their lead as NEROCA edged past the hosts. 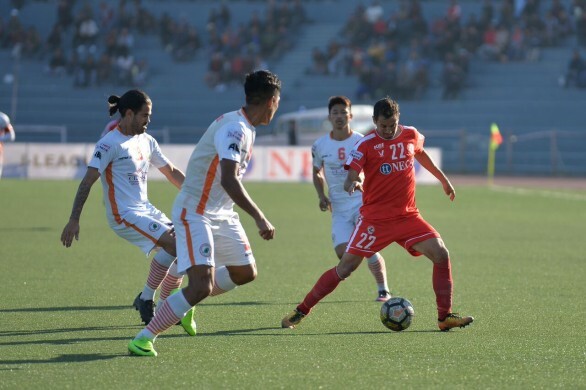 In a game with an abundance of chances for both sides, NEROCA FC triumphed over the reigning champions Aizawl FC at the Rajiv Gandhi Stadium to leapfrog Kingfisher East Bengal in the league table. Nigerian defender Kareem Omolaja(39′) scored for the home side in the first half but Neroca bravely fought back in the second half as Felix Chidi (65′) and Nedo Turkovic (85′) scored in the second half to humble the champions at their home. 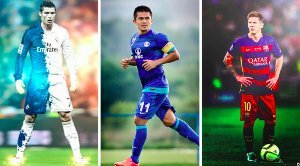 Aizawl’s head coach Paulo Menezes made two changes in the playing XI as Lalramhmunmawia and Yugo Kobayashi started in place of suspended Afghan defender Masih Saighani and William Lalnunfela. 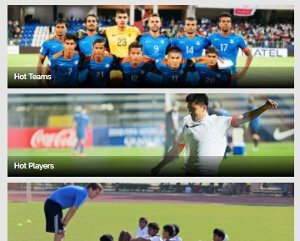 The away side made no changes from their win against Indian Arrows. Shambu Mistry was in goal and Gourmangi Singh led the defence alongside Varney Kallon, Ngaseoam Tondonba, and Ashok Singh. Aizawl got their first shot in the goal in the first minute of the match itself but Andrei’s volley was thwarted away by Shambu. The home side came close to scoring but Andrei’s dipping free-kick struck the woodwork. Neroca fans sang their hearts out in the corner of the stadium but were silenced by Kareem’s goal. The lanky defender leapt above the Neroca’s players as he headed his first goal of the season home. Gift Raikhan’s boys almost drew the equaliser just before the halftime. Felix Chidi did all the hard work as he skipped past Aizawl defenders, he slid a delightful pass to Subash Singh but the Manipuri forward could not find the back of the neck. Aizawl led by a single in the first half. The halftime break proved vital for the away side as they started to dominate the game in the second half. But it was the home side who had the first goalscoring chance after the lemon break. Dodoz’s cross was met by Andrei but the Romanian shot again struck the woodwork. Felix Chidi scored the equaliser in the 65th minute after a wonderful team game broke Aizawl defence. 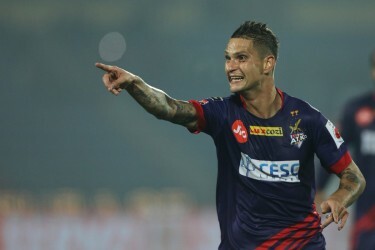 As everyone in the Aizawl FC dugout started to believe to leave the stadium with one point at least, Turkovic stunned them in the dying embers of the game when he perfectly converted David Biakzara’s cross from the left wing. Aizawl went all out but the away side’s resolute defence and the heroic goalkeeping from Shambu Mistry denied the reigning champions a point in their fortress. Aizawl will host Kolkata giants Mohun Bagan in their next game on Thursday and Neroca will play another Northeastern Derby when they host Shillong Lajong on Wednesday.